We commend Milwaukee Mayor Tom Barrett for elevating the issue of state legislative and Congressional redistricting reform with the announcement of his proposal today. The current redistricting process in Wisconsin is a disgrace. It is controlled by partisan legislative and Congressional leaders without public participation or input -- completely out of public view, utilizing millions of taxpayer dollars to pay expensive lawyers to come up with partisan, uncompetitive districts. 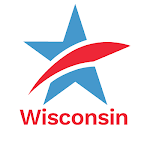 Redistricting must occur in 2011 to reflect the population changes in Wisconsin that are currently being compiled in the Census this year. But it shouldn't be done the way it has been accomplished for the past thirty years. As recently as 1998, there were four competitive Congressional districts in Wisconsin. Today, only the Eighth Congressional District can be considered truly competitive. Likewise, the number of competitive State Assembly and State Senate districts has decreased over the years to the point where only about a tenth of the 132 legislative districts (99 Assembly and 33 State Senate) can be categorized as truly competitive. The lack of competitive elections in Wisconsin robs voters of choices and reinforces legislative and Congressional partisanship, grid lock and intransigence. The Barrett plan takes the final decision-making about state legislative and Congressional boundaries out of the hands of the very partisan legislative and Congressional leaders and puts it into the hands of the non-partisan Government Accountability Board -- which would ensure the process is transparent and is replete with public input and participation. It represents a significant improvement over the current, corrupt process and would bring Wisconsin into the company of states such as Iowa and California which have successfully and effectively reformed their redistricting processes. We hope that the other candidates for Governor of Wisconsin this year will emulate Mayor Barrett by elevating redistricting reform as an issue and making proposals that enhance public participation, transparency and competitiveness. It will take the strong and active support of the next Governor of Wisconsin in order for reform to occur. Redistricting reform is a good government issue and not a partisan political issue. Every candidate for public office in Wisconsin, regardless of party label and ideology, should support reforming the current, corrupt redistricting process. Tom Barrett is the first gubernatorial candidate to do so this year, but we hope he will not be the last and only one to support this vital reform. Statement on Milwaukee Mayor Tom Barrett's Redistricting Reform ProposalTweet this!